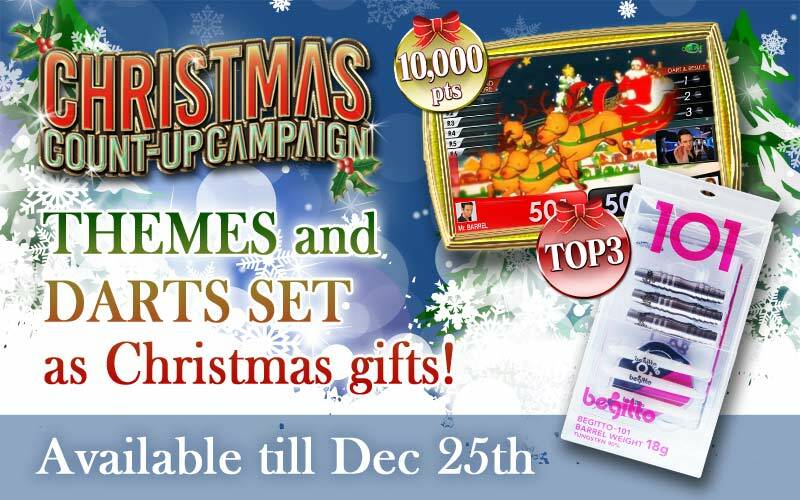 The final week of Christmas COUNT-UP campaign!! Over 150 players have accumulated more than 10000 points through COUNT-UP and got the PREMIUM THEME! Have you reached the points and got the THEME? If not, hurry up! There's ONLY 1 WEEK LEFT until the campaign ends!! Top 3 will be recieving a Darts set . 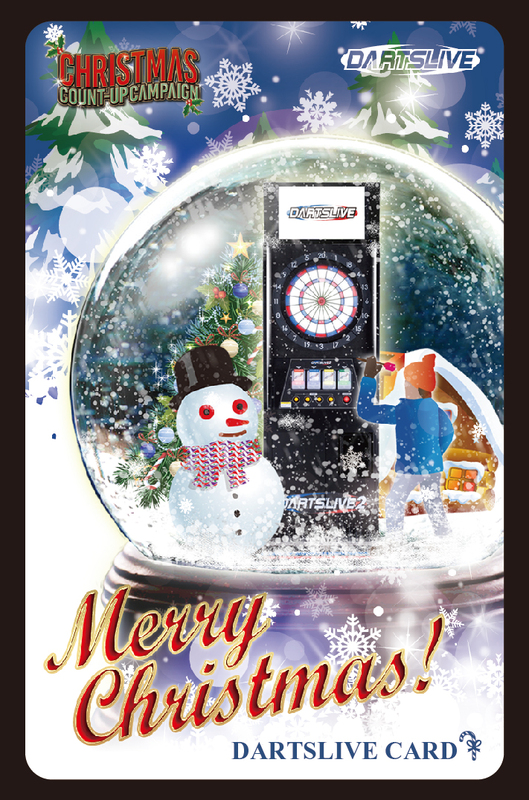 12th, 25th, 125th players will be rewarded a special dartslive card. ※Sample image, actual product may looks different. This is one of the rare campaigns that offer this amazing gifts. Don't miss out! ※The winner will be announced in early January.